St. Mary's Visitation Parish's Lolek Young Adult Ministry actively engages with the other parishes in our district to help promote the regional offerings of the Archdiocese of Milwaukee. 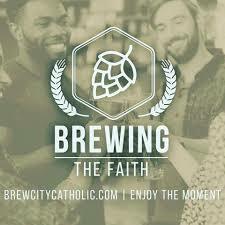 We are especially active in the Brewing the Faith events offered at Point Burger Bar in Waukesha. We also host small groups to help those 18-35 to go deeper into their Catholic Faith. Contact: Josh Dieterich at jdieterich@stmaryeg.org or 262-782-4575 x109.